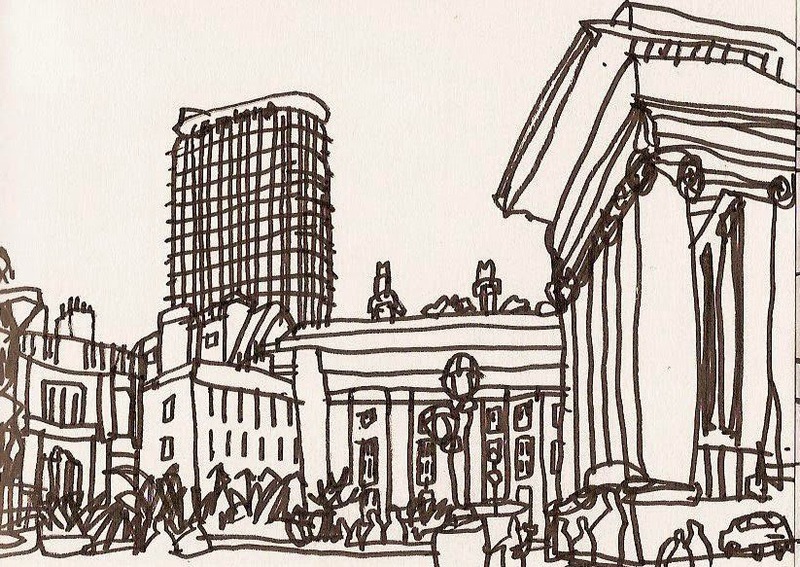 London's Urban Sketchers are meeting up at the British Museum on this Saturday, 7 February 2015 from 11.30am to 3.30pm. (This drawing is of the museum's courtyard with the lovely Centre Point rearing up in the distance.) Everybody's welcome. Just bring things to draw on and with, and come and say hello. There are lots of places to warm up, and it's all very relaxed. There's more information on the London Urban Sketchers website, if you want it. And join the London Urban Sketchers new Facebook page.